and other indigenous species in the Whakatāne area. 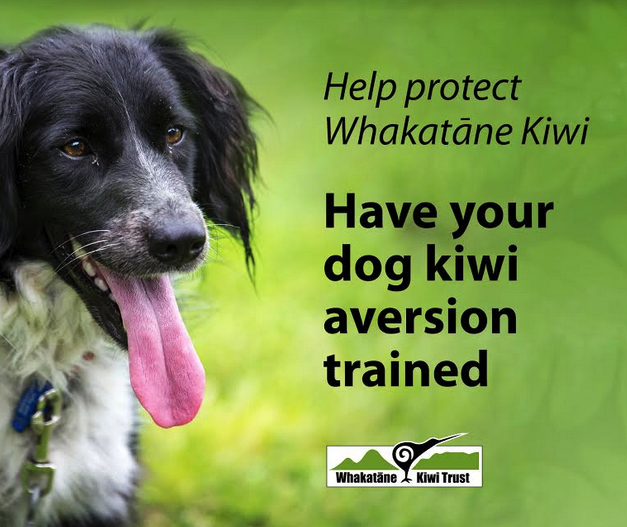 Kiwi aversion training for dogs is happening in Ohope Sunday May 19th! The Whakatāne district is abundant with indigenous wildlife, including the kiwi. Kiwi in New Zealand are a unique and endangered species. It is both unusual and exciting to to have a population of kiwi so close to a major centre, as they are in Whakatāne. Kiwi, our iconic national bird, literally live in our backyards. Residents and visitors to the area have the unique opportunity to walk into the bush and step into kiwi territory. This exceptional set of circumstances has led to recognition of Whakatāne as the ‘Kiwi Capital of the World™’. However, without active management this endangered bird and other native species are at risk of declining again towards extinction. In the reserves around Whakatāne an intensive network of bait stations and traps was formed and active kiwi monitoring has been undertaken by volunteers, since the projects inception in 2001. This community led project is supported by government agencies; Department of Conservation, Bay of Plenty Regional Council, Whakatāne District Council, Te Runanga O Ngati Awa, and private landowners, which forms the ‘Whakatāne Kiwi Project’. One of the many rewards which flows from the Whakatāne Kiwi Project is improvement of the local biodiversity as a whole. 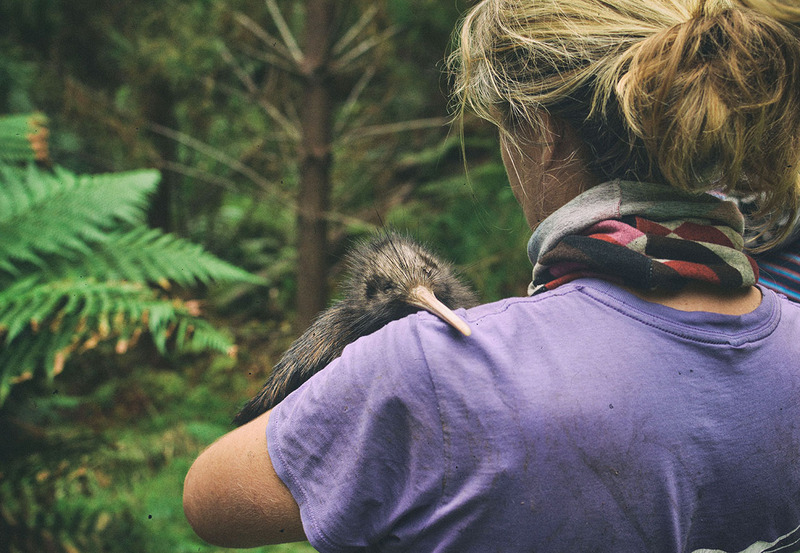 With some wonderful success stories to date, the Whakatāne Kiwi Trust and its supporters are looking to expand the scope of the project to help support a self-sustaining kiwi population. While out walking in the bush or travelling on our roads you may come across an injured or dead kiwi. Please contact us asap. If you are in the Whakatāne Kiwi Area and see a kiwi or robin, report it here! The Whakatāne Kiwi Trust gratefully acknowledges the support of our current sponsors and supporters.